Stove installations are on the rise within the UK and whether you call it a ‘wood burning stove’, ‘log burner’ or a ‘multi-fuel stove’, the result is the same—it beats an open fire hands down. Spend less on fuel: Log/wood burners and multi-fuel stoves can reduce your bill by over 75% compared to an open fireplace. Your new stove installation will quickly pay for itself. Enjoy greater efficiency: An open fireplace is typically 17% efficient but on average, log/wood burners and multi-fuel stoves, are 80% efficient meaning more heat goes on warming your home and less disappears up the chimney. 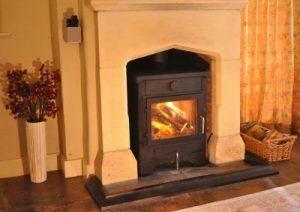 Increase the value of your property: According to London estate agents, installing a log/wood burner or multi-fuel stove can increase the value of your home by up to 5%. When choosing a company for your stove installation it pays to shop around. Make sure you get at least three quotes to enable you to compare their prices and services. Are they a HETAS Registered Company? Is the company Trading Standards Approved? Is the person who will carry out the stove installation a HETAS Registered Installer? Do they have public liability insurance of up to £5 million? Do they have any links to or experience with a chimney sweeping service that means they understand what cleaning access will be required? If not your chimney sweep may condemn the installation, and additional work may be required to provide adequate cleaning access. Having log/wood burners and multi fuel stoves in your home can increase the value of your property by up to 5%! The cost of a stove installation can differ between installers. The important thing to remember is that you get what you pay for. establish whether their installers are HETAS Registered. Sadly, some installers will provide cheaper rates by cutting corners, make sure you do not get your fingers burnt!